Photographer Nicholas Hellmuth begins to learn about using a CO2 laser engraver to “print” photographs onto stone, wood, metal, and other materials. 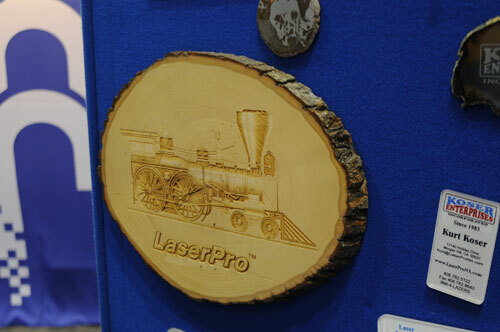 With a CO/2 laser engraver you can engrave a photograph onto stone, wood, or meta. If you want to make your photographic prints unique, ”print” them onto stone, wood, or metal. There are several ways to accomplish this. One is to use a CO/2 laser engraver. The other way is to use a UV-curable inkjet printer that is designed to handle stone, wood, metal, floor tiles, wall sections, even concrete. 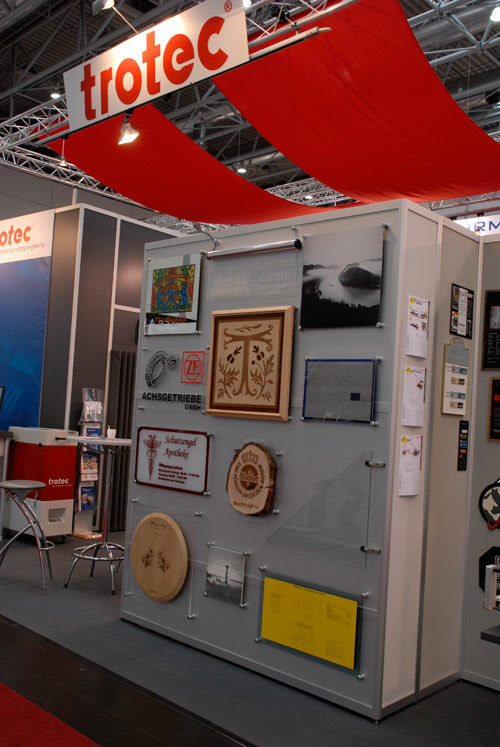 Trotec booth, showing printing examples at Viscom Germany 2007. 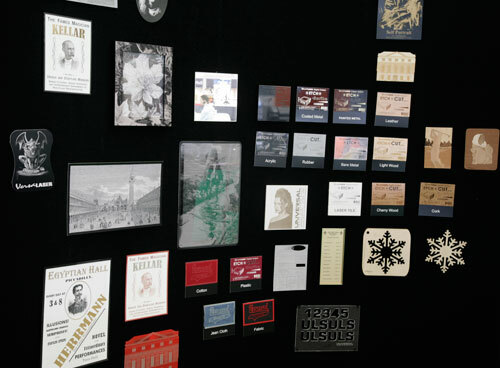 GCC engraver example, ISA 2008. 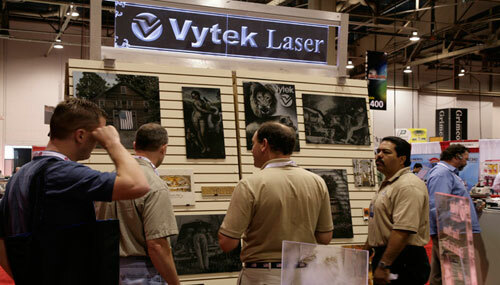 You can also create 2-dimensional and 3-dimensional works of art with a laser engraver/cutter. 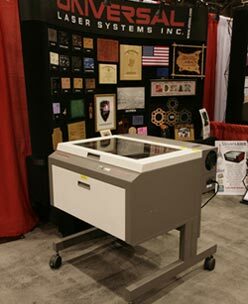 Architects can utilize a laser engraver to decorate their models. The laser cutter can cut the model out of plexiglass, wood, or cardboard. We presently use a Universal Laser Systems M-300 for this purpose. 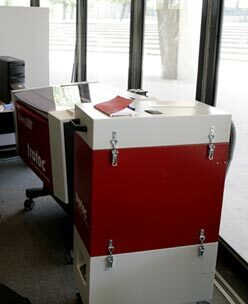 Trotec is now providing a larger and 50% more powerful laser cutter/engraver to FLAAR so we can test, evaluate, and write-up our recommendations. We are also excited about the laser engraver technology to help museums and archaeological projects reproduce precise copies of archaeological artifacts. 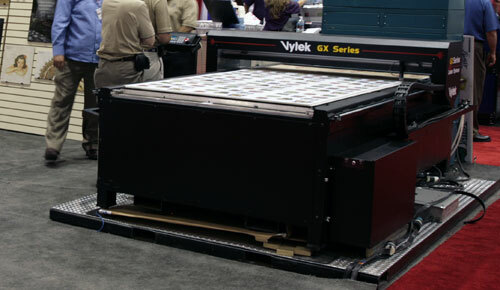 The Vytek F/X laser system would be ideal for this application. 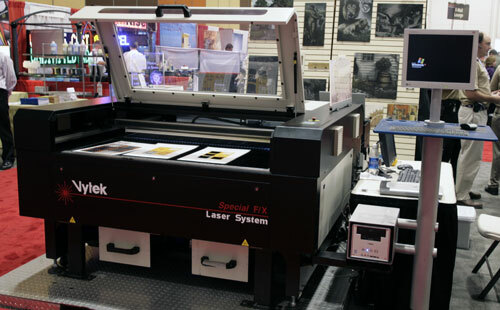 Vytek laser engravers: On the first picture we looked the Vytek GX Series and the second we looked the Vytek Special F/X Laser system. Both are at SGIA 2006. Most recently updated Oct 9, 2006. First posted May 1, 2006.